It seems like kids have barely gotten the chance to use up their first glue stick and pack of pencils, but believe it or not fall break is just around the corner! 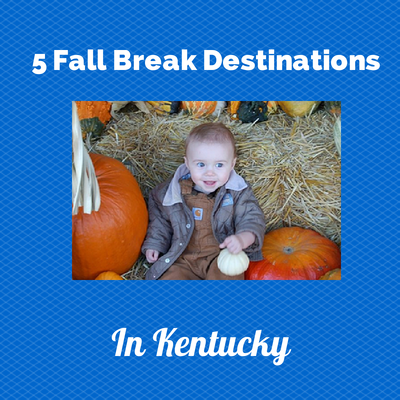 Kentucky has some amazing destinations most are just a short car ride away. Red River Gorge, your scholars can stretch their legs all while enjoying nature's beauty. Fall colors = added bonus! Newport Aquarium head up the road to Newport Kentucky and swim with the fish for a day, really you gotta check them out behind very thick glass but you get the point. Restaurants and shops all around the aquarium make your day very convenient. Read a review by clicking here. Mammoth Cave make the trip to Western Kentucky and check out the the most extensive cave system on Earth, think over 400 miles of caves! Louisville Mega Cavern spend the day doing the activities that the mega cavern offers. Think zip lines and an areal ropes course all underground! Be sure to make reservations, their spots fill up quickly! Read more about the Mega Quest by clicking here. Shaker Village of Pleasant Hill go back in time with your family and get a taste of what life was like as a Shaker. Plus the homemade desserts always make it a worthwhile trip! Where does your family end up for fall break? We would love to hear about your trip!